November | 2012 | Take Home a Souvenir! WIN one of three copies of MEET SEBASTIAN VETTEL! MEET SEBASTIAN VETTEL is an intimate insight into the life of Formula 1’s youngest ever triple World Champion. Including exclusive contributions in their own words from Sebastian Vettel and his Red Bull teammate Mark Webber, as well as a host of previously unpublished photographs from his early life, MEET SEBASTIAN VETTEL relives the astonishing story an already stellar driving career. Read how Vettel joined Formula 1 as a teenager (after many years as a karting champion), his early struggle to establish himself as a driver and his stratospheric rise to Formula 1 stardom. Vettel became the youngest ever F1 driver, the youngest to score championship points, qualify in pole position and to win a race, and is now the youngest ever triple World Champion. The book includes a full account of Vettel’s record-breaking 2011 season: the most championship points won in a season, most pole positions in a season, and the most laps led in a season. To celebrate Sebastian Vettel’s historic third consecutive championship victory, Souvenir Press are giving away three copies of MEET SEBASTIAN VETTEL. To be in with a chance of winning, simply fill in the form below, telling us which has been your favourite race of the 2012 Formula One season*. Competition closes at 9am (UK time) on 1st December 2012. As we’ve mentioned in a previous post, A NATURAL HISTORY OF THE PIANO is one of Souvenir Press’s new titles this autumn. It received rave reviews from the three leading classical music magazines in the UK, but the good news hasn’t stopped there. This is something special for music lovers and pianists everywhere. So if you’re stuck for a festive gift for a music-lover in your life, A NATURAL HISTORY OF THE PIANO comes highly recommended. The best book I’ve ever read on the nature of what actually is, what the world is about. Explaining man’s role in the universe as a unique expression of the total universe, and interdependent on it, Alan Watts offers a new understanding of personal identity. He presents an alternative to the feelings of alienation that is prevalent in Western modern society, and a vision of how we can come to understand the world as a whole. Alan Watts was central to the introduction of Eastern philosophy and thought to Western readers, and was one of the best-known writers of the 1960s and 1970s. Are you a UK-based blogger who likes books? Particularly non-fiction books? If so, we would like you to get in touch. Here at Souvenir Press we have a very eclectic list of titles, spanning over 60 years of publishing, so there is something to suit all tastes. Whether you’re an animal lover or a mum-to-be, whether you’re interested in aliens (real? Fake?) or gardening or music, the chances are we’ve got something you’ll love. We are looking for people who would be interested in reviewing Souvenir Press titles – new and back-list. If this sounds like you, please get in touch. You can tweet me @SouvenirPress or email me: emily@souvenirpress.co.uk to request a copy of our latest catalogue. Here are our new titles for Autumn 2012, and you can find further information on the Souvenir Press website. 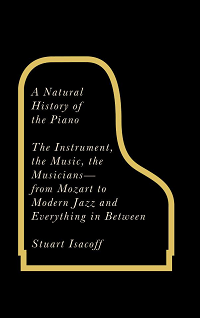 A new title for Souvenir Press this autumn, A NATURAL HISTORY OF THE PIANO by Stuart Isacoff has been reviewed in the UK’s three leading classical music magazines, and they all agree: it’s something special. A NATURAL HISTORY OF THE PIANO is out now as an ebook and as a beautiful hardcover, the ideal Christmas gift for the pianist in your life.